The first of the Roses Cake stencils using the re-designed Rose Spray stencil elements. We love this one dearly as it looks so delicate and would look wonderful in many ways. 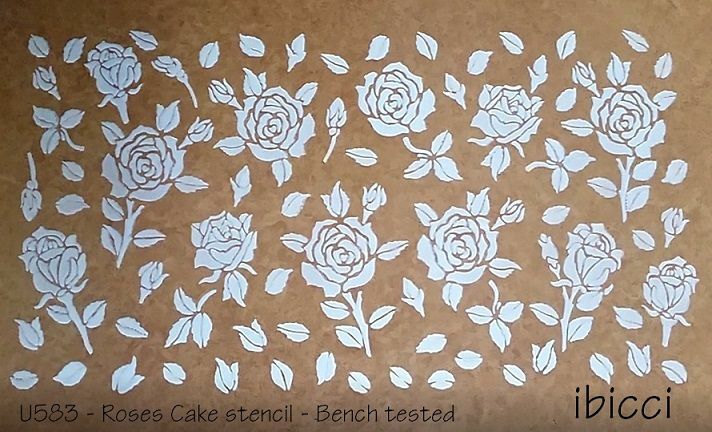 Using the 1 part, it can be stencilled in white royal, left to dry, then painted or dusted to colour co-ordinate (see the Rose Spray for an example of this). It would also be great for an experienced airbrush operator too - after royal stencilling, stencil can be popped back on and the design airbrushed. The 4 part naturally points to airbrushing to get a quicker result but this can also be used to airbrush 3 elements and royal stencil the lightest rose colour - for something different. The actual design size measures approx 145mm*267mm (5.75"*10.5") and has been designed to wrap around with minimal join issues due to the nature of the placement of the elements. It is suggested that you take note of how the elements come together first as mask off to avoid overlapping on larger cakes. 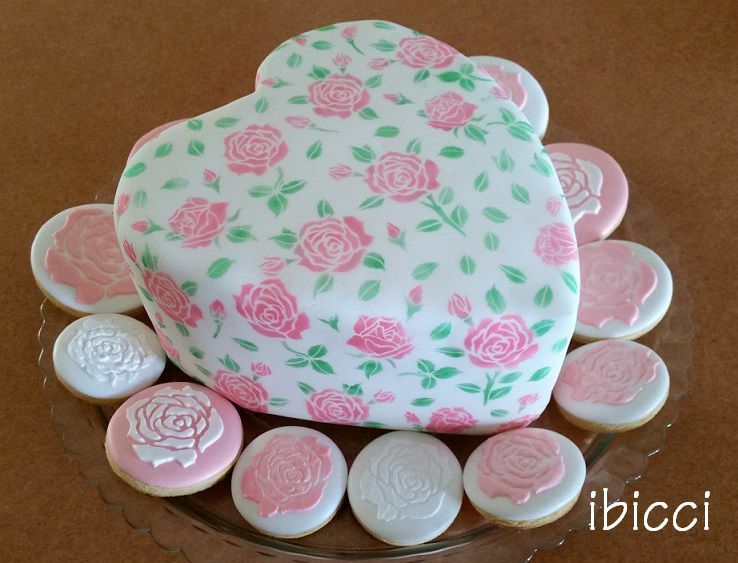 Of note - This cake stencil in 1 part form takes 20 minutes to cut and further time to 'weed' , trim and package, the 4 part naturally takes longer. 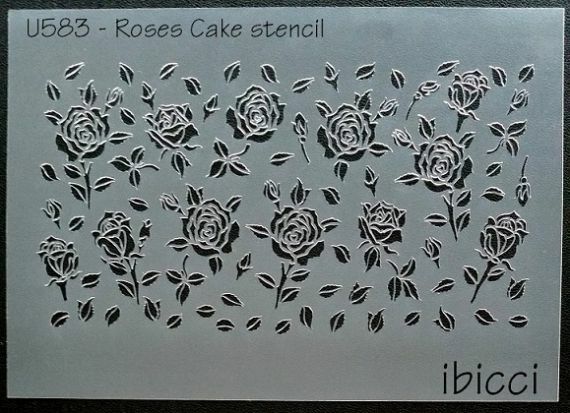 This is reflected in the prices of this exclusive ibicci stencil.